2. Aid Improved Cooling Under Braking. 3. Help Reduce Build Up of Dust & Gas. 4. Help Reduce Water Build Up. 5. Two-pieces Use behind alloys A6061 T6. 1. 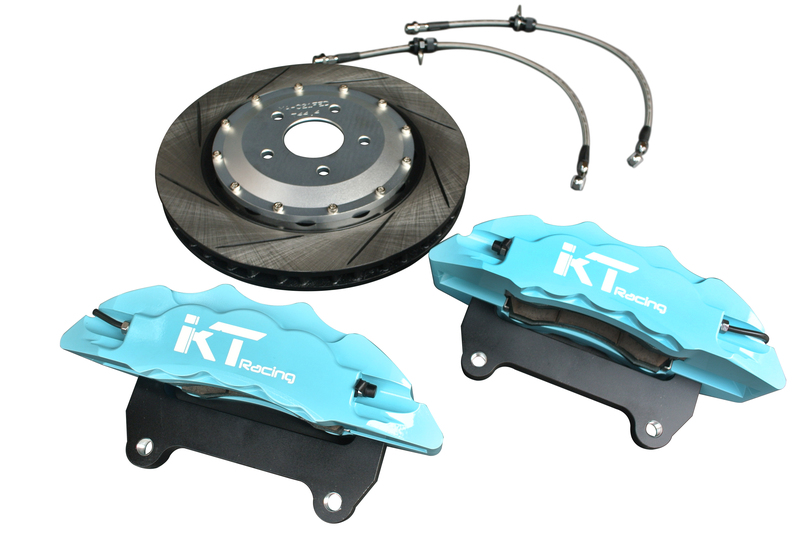 KT brake disc- 98% coverage of the original vehicle system. High performance Discs help meet the ever increasing demands on brake discs in terms of weight, braking performance and NVH (noise vibration harshness) properties. 2. Disc: 286 mm, 302mm, 330 mm. 3. Discs produced with High iron have optimal thermal conductivity, allowing the discs to run cooler and, as a result, ensure more consistent brake performance. KT brake disc is less likely to distort, which means less performance-related problems. 4. We improves the thermal behaviour of the discs, use the FC-28 alloy , giving better stability and increased resistance to distortion and thermal cracking, KT discs also help to provide a noise and judder-free performance.